In the year of 2013, Ethiopia government started a house infrastructure construction plan, they planed to build 3000 sets house in 5 year. There is a big demand of construction aggregate in the few years, it promote the development of quarry industry. More and more people consider to start their crushing project. Different with other market, most of the client in Ethiopia prefer portable crusher, the traditional stationary crushing plant cannot meet their requirement. 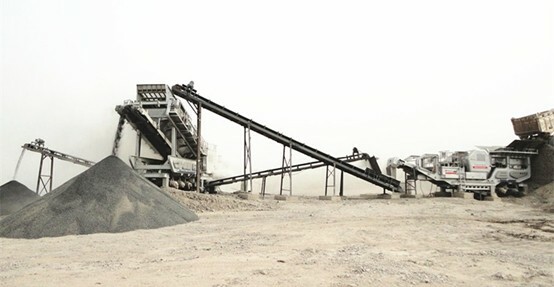 Zenith Portable crushing plant becomes more and more popular Ethiopia market against its advantages of prompt installation and convenient transportation. 1.Frist, the material will be charged into the hopper and then be feed into PE600*900 Jaw crusher by the feeder GZD3800*960; The material will be primarily crushed from 500mm to <150mm. 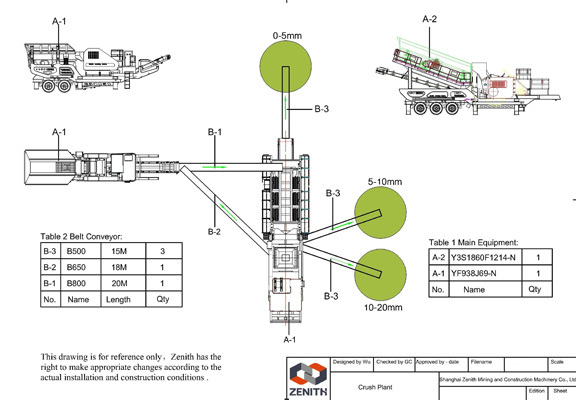 2.The crushed material from Jaw crusher will be send to PFW1214III Impact crusher for secondary crushing. 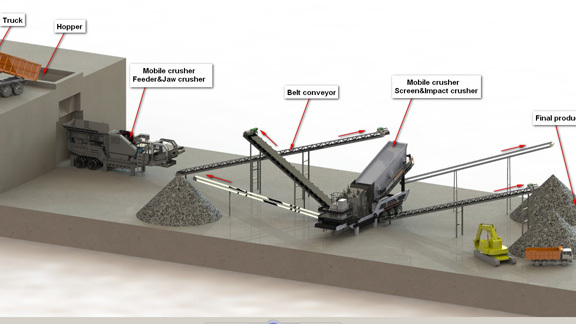 After secondary crushed by Impact crusher, the crushed material will be send to vibrating screen 3YK1860. 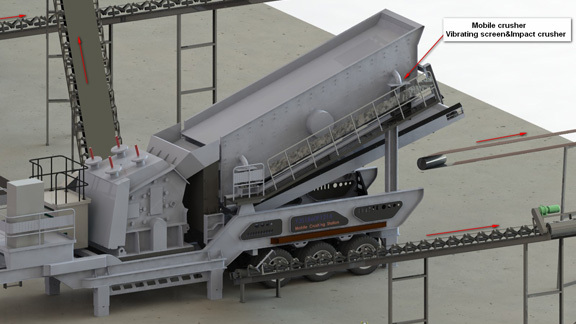 Y series portable crushing plant is designed for road transportation, especially for driving to crushing sites that are difficult to access, which greatly reduce installation time compared with the stationary one. The belt conveyor can be adjusted hydraulically to meet various requirement. The biggest advantage is when plants arriving to the quarry site, they can be installed and do the commissioning immediately without extra crane. 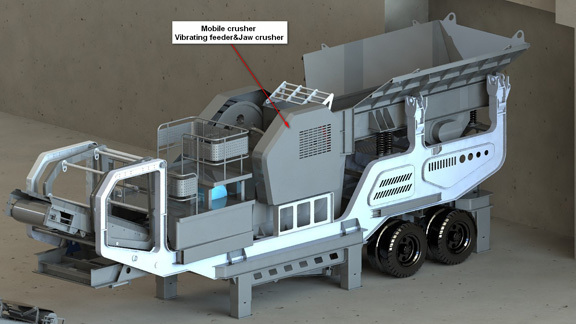 Y series portable crushing plants crush the material on site, without transporting the materials for off-site crushing, so the material transportation cost is greatly reduced. Add: No.416 Jianye Road, Pudong New Area, Shanghai, China.